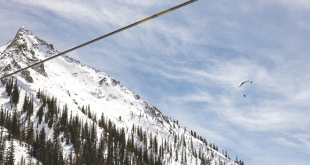 It may seem quiet on the streets of Crested Butte this week, but don’t be fooled. There’s a war going on. 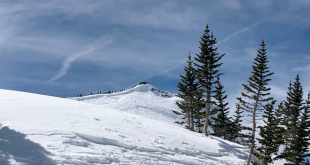 The war is between two long-entrenched factions—one supportive of the plans of Crested Butte Mountain Resort (CBMR) to expand lift-served skiing onto Snodgrass Mountain, and the other opposed. At stake in the current battle is the favor of GMUG Forest Service supervisor Charlie Richmond, who will decide whether CBMR’s proposal may officially enter the National Environmental Protection Act (NEPA) process—possibly soon. In a letter to the editor two weeks ago, CBMR owners Tim and Diane Mueller said they anticipate being fully engaged in the NEPA process on Snodgrass Mountain this summer. With an official proposal coming forward, the Friends of Snodgrass Mountain (FOSM) launched a public relations campaign this winter designed to convince citizens to send letters to Richmond stating their opposition to CBMR’s proposal. The intention, while unstated, is undoubtedly to pressure the supervisor to bar CBMR’s plan from entering the NEPA process. With the stakes growing, the municipalities have now entered the fray. 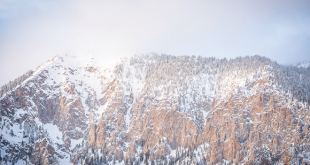 The town of Crested Butte has admirably attempted to take the community’s temperature on the Snodgrass issue with a work session devoted to hearing public comment and the acceptance of letters. The Town Council and Mayor Alan Bernholtz also agreed to shoulder the larger burden of representing members of the North Valley by allowing people who reside outside town limits to submit comments to them and speak. The result was overwhelming. During the council’s public work session in March, the majority of residents testified in opposition to CBMR’s plans. Two weeks later, dozens of residents in support of Snodgrass expansion presented the Town Council with a letter, which was also signed by hundreds of people with less direct connections to town. The waters became muddier still when FOSM filed its own years-old petition with the town, signed by 1,360 people. Faced with such inconclusive evidence, some members of the Town Council and Bernholtz appear ready to fall back on their own individual views on the issue—reasoning, perhaps rightly, that they were elected based on their opposition to Snodgrass expansion six months ago. Now, the Town Council is considering sending a letter to Richmond, stating that the majority of people it heard from were against Snodgrass expansion. That’s true only if the council relies on individual letters it received and testimony heard during its March session. It wholly discounts the results of a survey of Chamber of Commerce members and the letter, signed by 91 town residents, that was sent in reaction to the March meeting. This begs the question: Why bother going through the exercise if the Town Council would fall back on personal views? What was the point? Luckily, Town Council members Leah Williams and Skip Berkshire have crafted a solution—admit that the greater community (which the Town Council agreed to represent when it opened up its work session) appears to be torn on the issue and outline the major areas of justified concern. And those areas of concern are completely valid—CBMR needs to be questioned about the economic viability of the project, the potential degradation of habitat, the loss of open space, water use for proposed snowmaking operations, and the necessity of entering Washington Gulch. While the Crested Butte Town Council is debating Snodgrass expansion, the Mt. Crested Butte Town Council did very little before sending a letter to Richmond that said the town was in full support of CBMR entering the NEPA process. That Town Council justified its decision by relying on historical support, its 2006 Community Survey, and the 2007 Community Plan that includes a section that states the town will support CBMR’s efforts to expand ski terrain onto Snodgrass Mountain. Those reasons are compelling. However, with such a sensitive issue, it would have behooved the Mt. Crested Butte Town Council to give its own community a larger time frame to comment. In addition, I would expect a town neighboring a proposed ski area expansion to have at least some questions about potential environmental impacts. It seems shortsighted that the Mt. Crested Butte Town Council and Mayor William Buck didn’t choose to identify potential problems in their correspondence with Richmond. With the battle lines being drawn on this issue, there’s one victim in this battle that both sides will claim that they’re saving—the community. However, I cannot see how this community is helped by ugly, unilateral strategies designed to topple an opponent. We’ve allowed an atmosphere to grow that’s fostered public smear campaigns, close-mindedness and fear. Right now, we are all losing this war. But I believe there is hope. I’ve seen this place shine before—it’s been when everyone has a seat at the table and we come up with creative solutions about how we move forward. Wars are started when the talking stops—they’re ended when opponents sit down together.